Everyone’s favourite, slow growing, spiky pot-plant is happy with very little water. 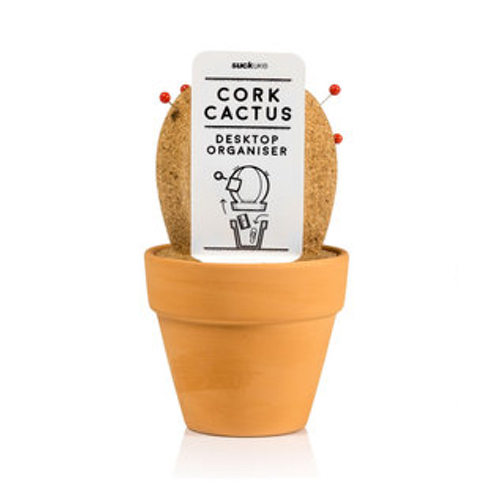 But Cork Cactus requires NO water or maintenance at all. Even better, you can pin stuff to it and keep knick-knacks and tiny desk clutter in the terracotta pot. Supplied with a handful of push-pins that brilliantly replicate spikes and tiny flowers of desert cacti. A thoughtful gift for anyone who yearns for a pot-plant but works in a dry, repressive office with no windows or natural light.